I was offered this intriguing fruit at a cookery class that I facilitated last weekend in Canberra. 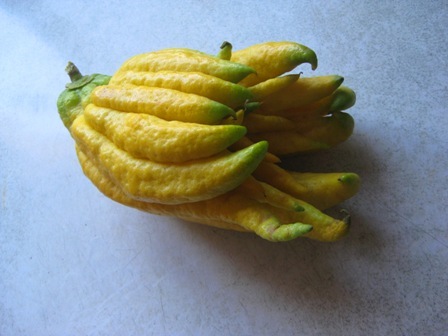 It’s known as Buddha’s Hand Citron, or fingered cirtron [Citrus medica var. sarcodactylis] and is also known as in Japan as bushukan. 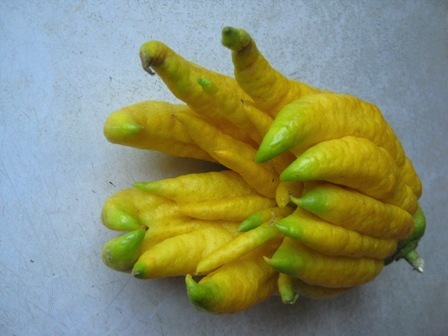 The origin of the Buddha’s hand plant can be traced back to Northeastern India and China. 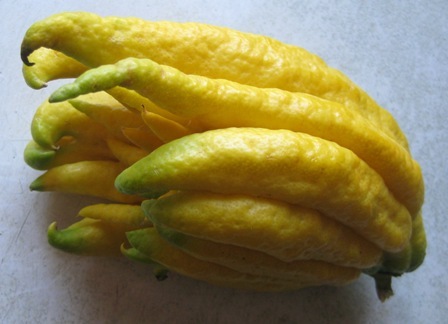 I am thinking of making candied citron out of it, since it is purely peel without any fruit or juice inside, but not at all bitter.